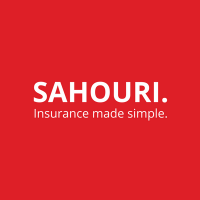 Sahouri Insurance is a privately-held insurance brokerage firm, founded in 1970 and headquartered in McLean, Virginia. SAHOURI. was built on two foundations: personalized service and pro-active solutions. Since 1970, the agency has experienced significant growth and is considered by many as an industry leader in redefining the standards for client satisfaction and retention. Our insurance specialists design proprietary products to serve the specific needs of niche markets at a high level. As a privately-owned agency, we have long-standing relationships with the A-rated insurance carriers. This access empowers us to provide our clients with the best insurance products on the market at extremely competitive rates. As an award-winning agency for service, culture and innovation, SAHOURI. invests in the most talented and honest professionals in the industry. Powered by the latest in risk management technology, the agency fulfills the clients’ greatest needs by making insurance simple and protecting their assets, allowing them to focus on their own growth and success.